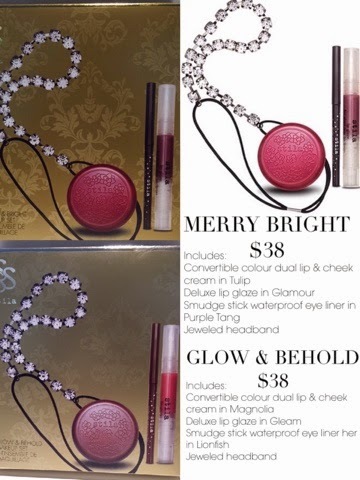 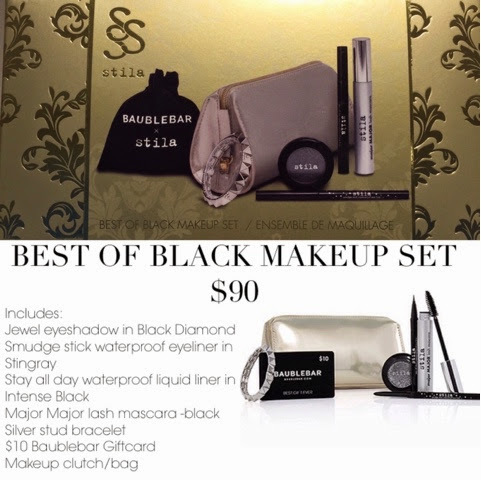 Last minute shopping...no worries these Stila Cosmetic makeup sets are perfect for that makeup and fashion lover on your list! 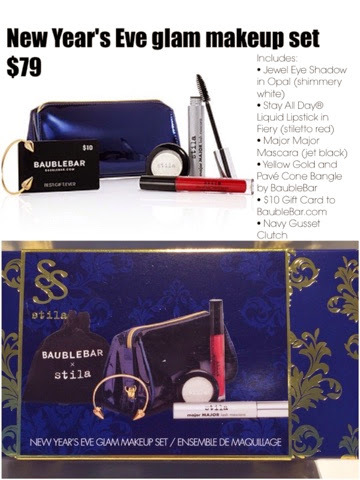 Take a look at the amazing set that include a bracelet and $10 gift card to BAUBLEBAR. 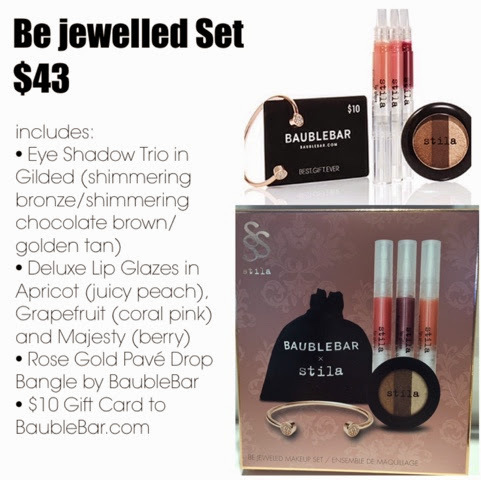 The Merry Bright and Glow and Behold sets do not include a BAUBLEBAR gift card but they do include a very beautiful jeweled head band.